Watching royalty has never really interested me. Seeing what Kate looks like with a baby bump is not really news in my mind. 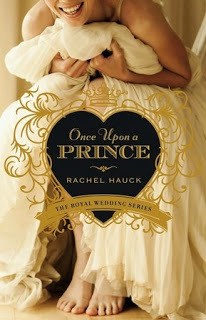 I am really not into fairy tales so Once Upon a Prince by Rachel Hauck was a pleasant surprise. The whole storyline seemed ridiculous to me – Handsome prince meets American girl and falls in love? Yeah, right. I was definitely wrong. This was a delightful book. 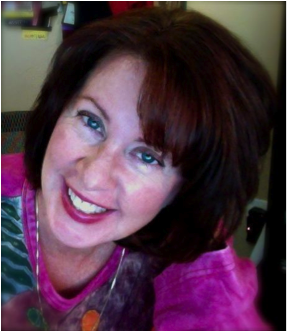 The first thing Hauck did was to develop her characters through descriptive writing. Susanna Truitt, the heroine is loveable, classy and funny in a self-deprecating way. Hauck gives Susanna a family – mother, father, and younger sister – that are equally endearing. And Prince Nathaniel is down-to-earth, sensitive, and genuinely caring. It does not hurt that both Susanna and the prince are very attractive people. And they both had a deep faith and a genuine relationship with Jesus Christ. As the story unfolded, I really wanted them to be able to get together. I would try to figure out how Hauck could make this happen. Even when things looked really bleak because of royal rules, regs and laws, I was hoping there would be a way for them to marry. It was so obvious they belonged together. Truthfully, I also completely enjoyed getting to know the villains in the story – maybe the wicked stepsisters? Lady Margaret and Lady Genevieve fill this role nicely. The paparazzi were also there, obnoxious, as one would expect them to be, fulfilling their role of harassing the royals. Besides completely enjoying the story and the characters, I loved reading the descriptions of life in a palace; and I could imagine what it must have been like for Susanna and her sister to take up residence in a palace as a guest of the queen. The Kingdom of Brighton seemed like it would be a lovely place to take up residency. Hauck has written a book that is just plain enjoyable. 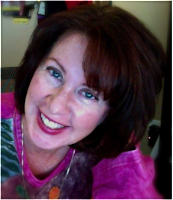 Her ability to bring her characters to life and make the different settings feel the reader is there visiting in person, give this story many layers to peel back and relish. I definitely recommend this book. I received the book from the publisher in return for a review. All opinions expressed are my own.